How do we get a price for the blinds? Call us or email us with your approximate window sizes and we will call you back with a price. Why not use our handy measuring guide to assist you (link to measuring guide). How do we measure the blinds for order? You don’t we do. Give us a call today. Can we have these blinds in our conservatory? Yes, these blinds can be installed in your conservatory. In fact these blinds will fit in almost any window or door opening. Can I have different coloured slats on the blind to the frame? Yes. You can choose a different colour for the blind frame and the blind slats. Our colour chart gives an idea of the colours available however we recommend you request a sample swatch if you have an exact colour to match. How will I clean the blinds? You don’t. The blinds will not require cleaning as they are hermetically sealed between the two panes of glass keeping them dree or dust, debris and deterioration. Are the blinds easy to operate? Yes our manual blinds are operated by a simple to use slider on the side of the frame. Our motorised blinds are operated by an easy to use remote control handset. I have a mobile home, can I replace the units? Yes. To our knowledge we are the only UK supplier of integrated blinds that are suitable for mobile homes. Please take a look at our products page for further information. Can I have something more interesting for a child’s bedroom or playroom? Yes. Our blinds have the option of having an image transferred onto the blind for a small fee. It can be anything from a Giraffe to a Spaceship design. Can I have my company logo on the blinds? Yes. Our blinds have the option of having an image transferred onto the blind for a small fee. 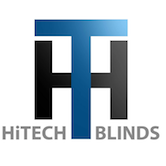 Having a company logo is a great way to promote your business when the blinds are closed.